This summer has been a busy one for Ben Affleck. The acclaimed director and actor has been promoting his film The Accountant alongside Anna Kendrick and J.K. Simmons. Affleck has also been preoccupied with his work on Justice League which recently wrapped production, leaving the filmmaker to focus on his upcoming Batman flick now. Right now, Affleck appears to be dedicating all his time to Gotham’s Knight to ensure he does the hero justice. After all, Batman isn’t a film one can “fail quietly” at according to Affleck. Of course, Affleck is not wrong with his observation. Batman is one of the best-known franchises in the world, so there is plenty of pressure put upon those who work on its films. When Christopher Nolan debuted The Dark Knight trilogy, fans were quick to scrutinize every pieces of the gritty movies. Luckily, moviegoers embraced the new films, but their loyalty to Nolan’s vision made it difficult for some fans to accept Ben Affleck being cast as Bruce Wayne for the DC Extended Universe. In some ways, that lack of acceptance is what led to the initial backlash against Batman v Superman: Dawn of Justice. The anticipated blockbuster stalled in theaters after a lucrative debut, and critics were liberal with their complaints about the film. While plenty of fans were pleased with Affleck’s portrayal of Batman, sources such as BirthMoviesDeath began to report the actor was “incredibly happy” with the film’s reception. However, the backlash against Affleck’s casting has eased with time. 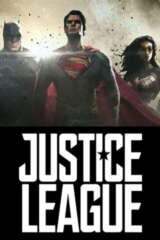 At this year’s San Diego Comic Con, fans were more excited than ever to see the actor stand alongside his Justice League castmates at a panel where teaser footage for the film was shown. And, in the last months or so, expectations for Affleck’s Batman film have risen exponentially. The actor hinted that Deathstroke would star in the film before Warner Bros. confirmed Joe Manganiello had been cast to play the legendary villain. Since that revelation went live, DC comics diehards have been eagerly awaiting updates about Affleck’s film - and now they’ve gotten one.